It also shows the Statue of Liberty! 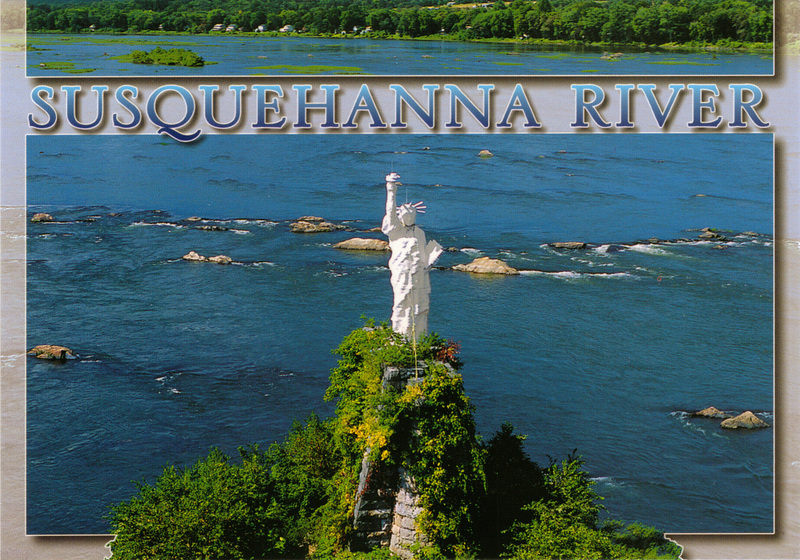 But this statue is much smaller and placed in the middle of the Susquehanna River, which runs through Harrisburg. The statue is on a small island (actually an old bridge platform) a few miles upriver from downtown. The replica is 25 feet tall and was first built in 1986, then rebuilt six years later because it was destroyed in a windstorm. 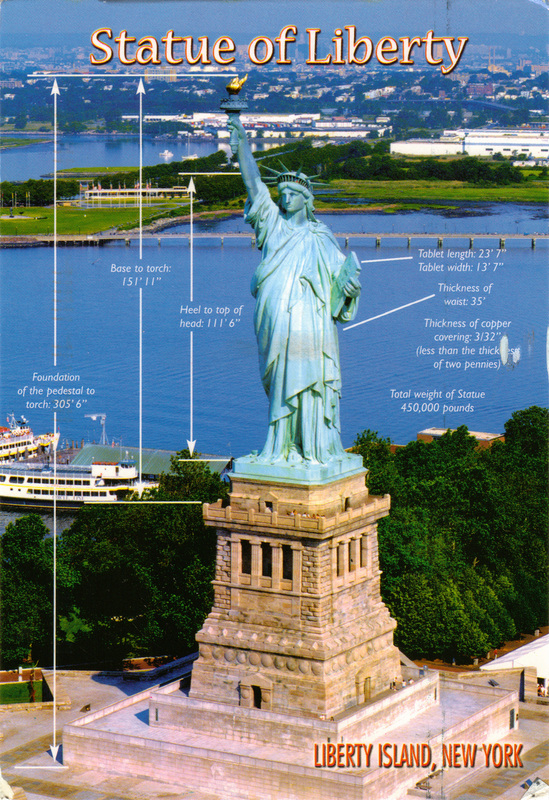 The real Statue of Liberty was dedicated 100 years earlier than its miniature, in 1886. It was inscribed on the UNESCO list in 1984.